Divisibility Color Pattern Students will determine if a number is divisible by one or more of the following: 2, 3, 5, 7, 9 or none. Divisibility Foldable Foldable Fold along solid line, cut along dotted line. Standard: Fold tables outward so they are in front and have students write divisibility rules inside. Answer Key: Fold table inwards, have students write divisor on front flap and use as ready made guide. Sieve of Eratosthenes Activity Classic method of finding prime numbers between 1 and 100. GCF 1 Riddle Students will find GCF of a pair of numbers. GCF 2 Standard Matching. Students will find GCF of a pair of numbers. GCF 3 Riddle Students will find GCF of a pair of numbers (up to 110). GCF 4 Riddle Students will find GCF of three numbers (up to 110). GCF 5 Pyramid Students will find GCF of three numbers (up to 100). Funsheet is pyramid format, standard has enough room for factor tree format. Use funsheet AK for both. GCF Cube Color Pattern Students will find GCF of a pair of numbers (up to 250). Prime Factorization Standard Prime factorization of a single number. Formatted as fill in the blanks for students who need a little help. Prime Factorization 1 Standard Numbers between 27 and 175, enough space for factor trees. Prime Factorization 2 Standard Numbers between 54 and 184, enough space for factor trees. LCM and GCF 1 Standard Students will find LCM and GCF of 2 or 3 numbers. LCM and GCF Word Problems 1 Standard 9 problems. LCM and GCF Word Problems 2 Standard 6 problems, hard(er) level. Students must convert units, find volume, etc. to solve. LCM 1 Riddle Students will find LCM of a pair of integers. Smaller values. LCM 2 Riddle Students will find LCM of a pair of integers. LCM 3 Quotes Students will find LCM of a pair of integers. LCM 4 Riddle Students will find LCM of three integers. 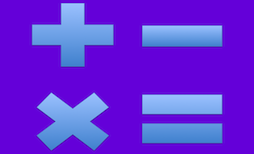 LCM 5 Standard Students will find LCM of both a pair of integers or three integers. Multiple choice. LCM Word Problems Standard 12 word problems. Classifying Real Numbers Venn Diagram Students will classify natural/counting, whole, integers, rational and irrational numbers. Numbers can be cut/paste into diagram or simply written in.